i386 languages | Best Marketing Techniques - Discover The Best! I recently had a painful experience with this interface when I unfortunately needed to install the language package and to my luck, I was using a remote-desktop-connection with windows 98 on it. 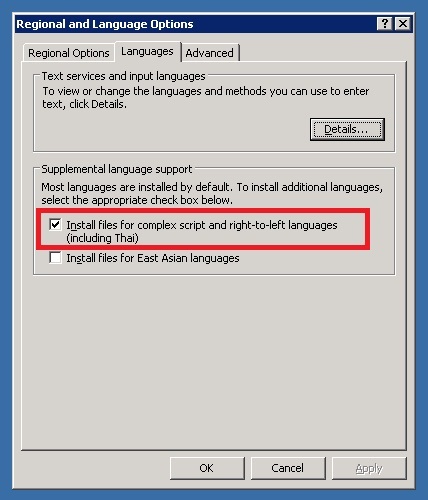 There was no way that I could even think about finding or getting a CD in order to install the language package. Suddenly I was hit with a great idea of searching for the i386 package on the internet. I had no luck with the idea and then another one came into my mind which was time taking but I had no other option. I separately browsed for each and every file that i386 package required in order to install the languages and I searched for those files first on my own computer with Windows 7 in directory C:/Windows/. I was lucky enough to find 60% of the files on Windows 7 and for the rest, I searched separately on Google and many websites were offering those .ttf and .ddl files. After hours of patience and hard work, I finally installed the package and saved all of the files in a single folder in order to upload it on my blog to save any of you from the pain in case you need to install the i386 package and you lost the CD a long time ago. The download link below is from Dropbox.com and it has all the files in the form of a folder which windows XP or 98 would require in order to install the i386 package.